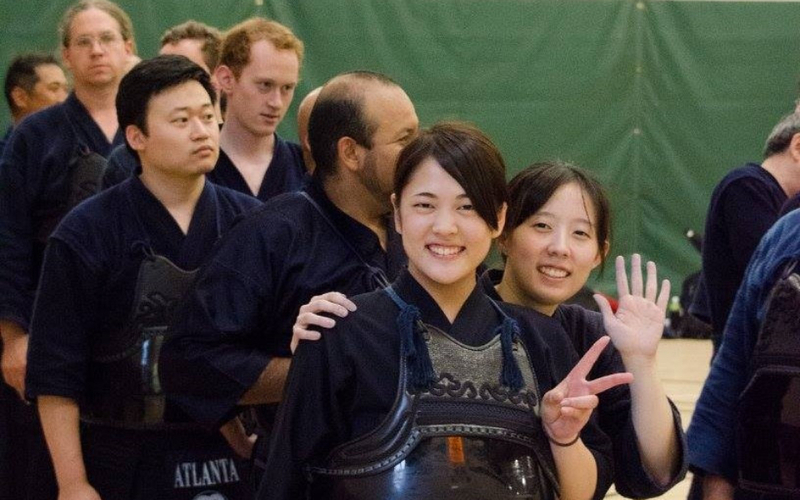 We had a great time at the 6th Annual Georgia Kendo Taikai held by GKA on May 29th 2016. 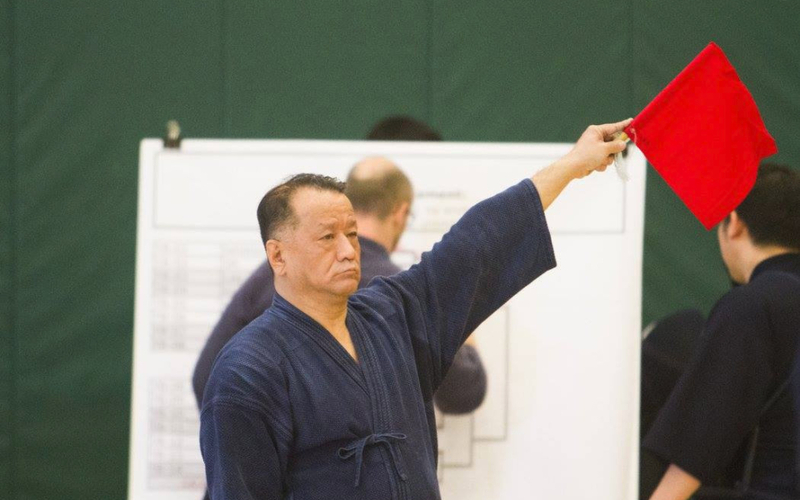 Victor Lim passed 1st kyu. 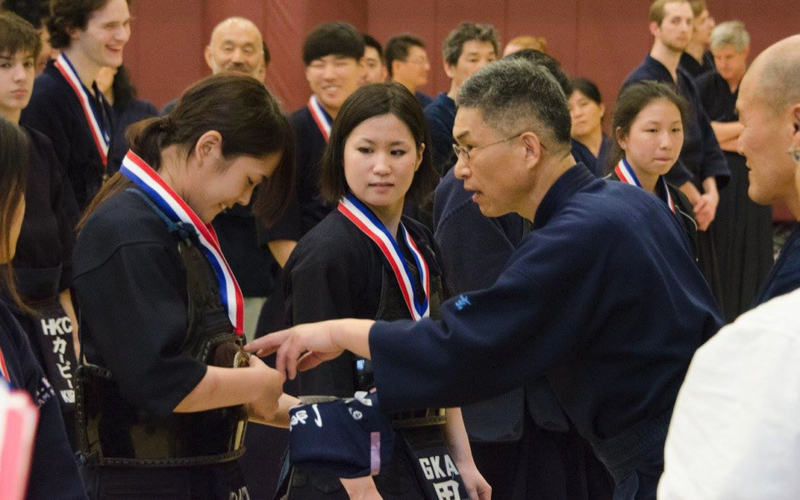 Claire Kim passed 4th kyu. 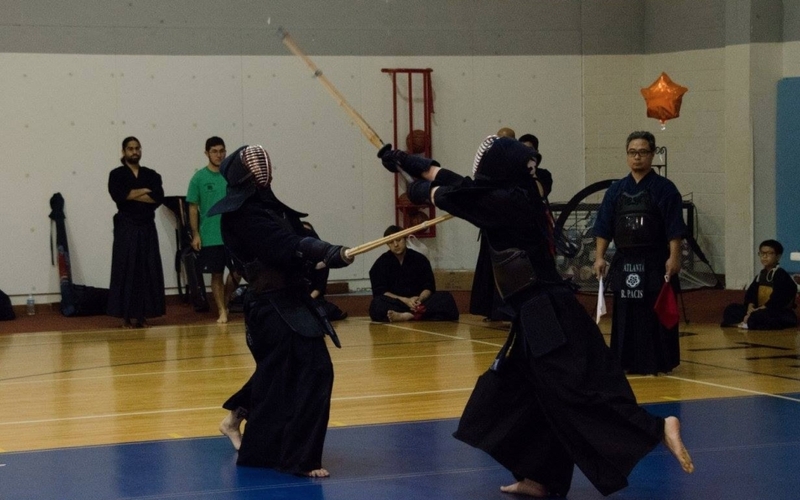 Gulam Dasthagir won 1st place in the mudansha division. 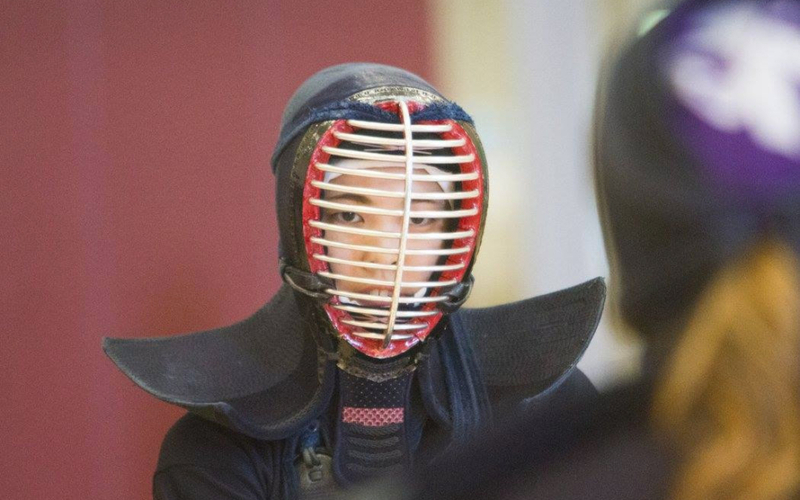 Minami Sato won 1st place in the women’s division. Taiji Nomura won 1st place in the 1-2 Dan division. 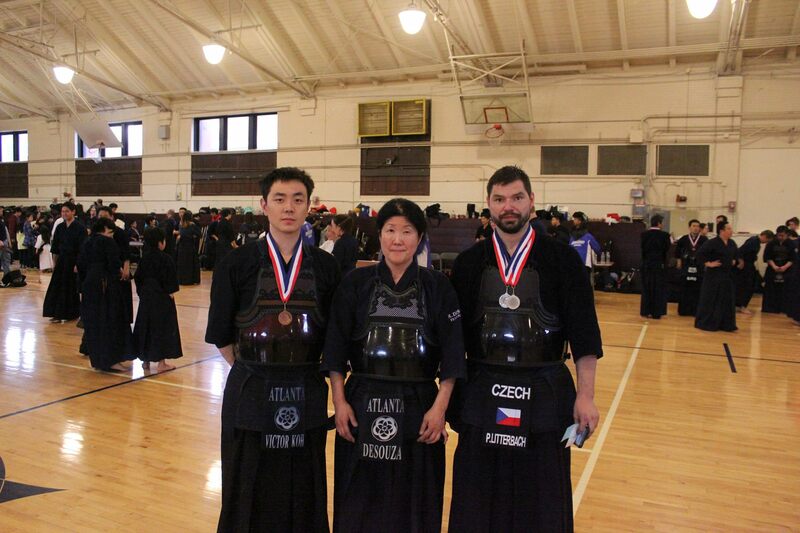 Pavel Litterbach won 3rd place in the 3 Dan and above division. 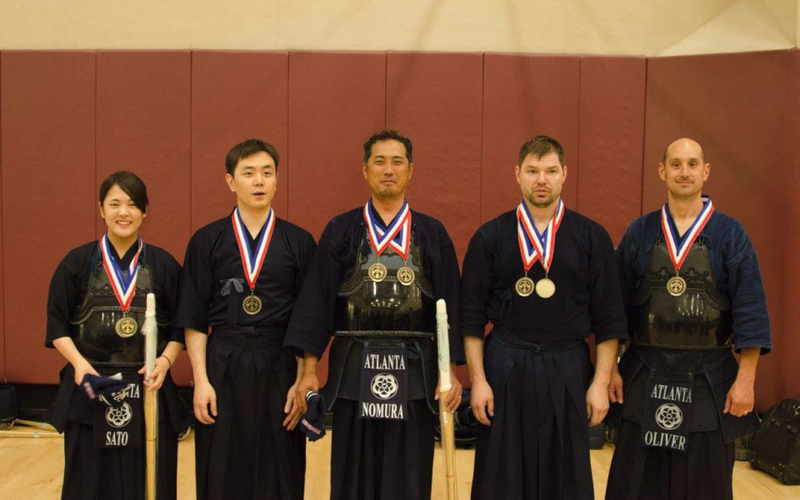 Team A (Minami Sato, Victor Koh, Taiji Nomura, Pavel Litterbach, and Jonathan Oliver) won 3rd place in the team division. 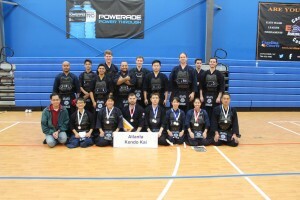 Congratulations to everybody who won and passed their promotion exams. 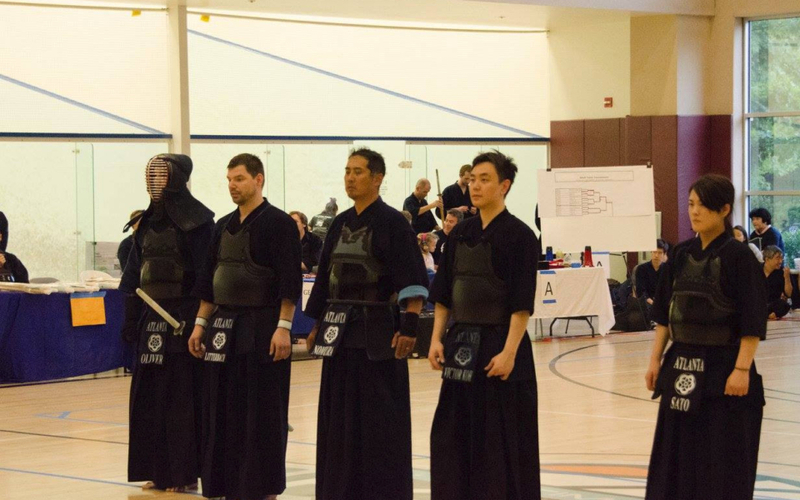 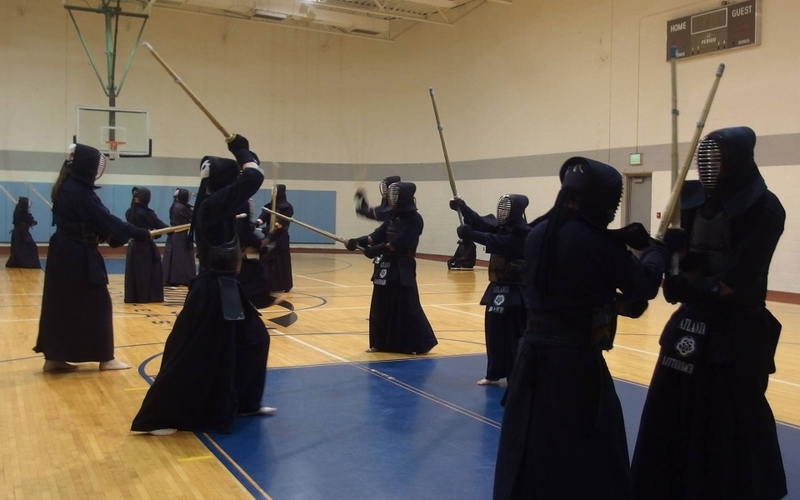 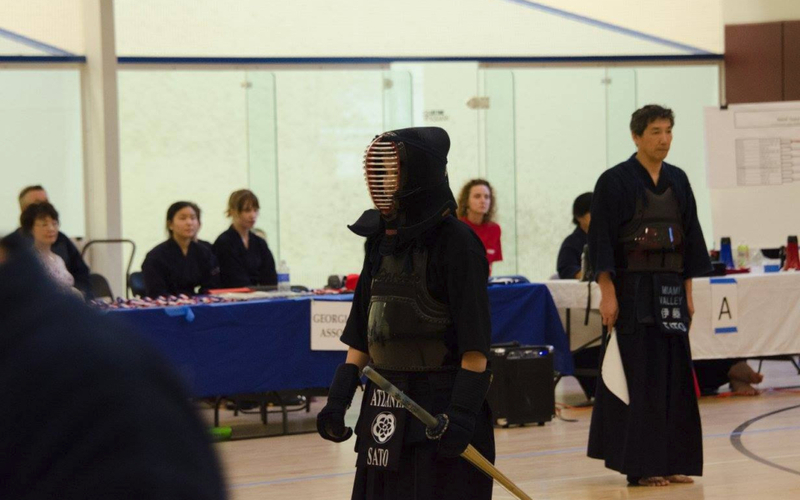 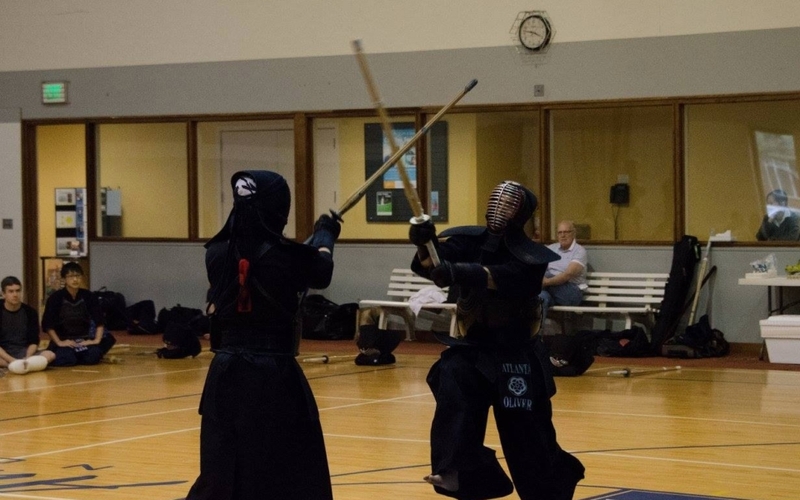 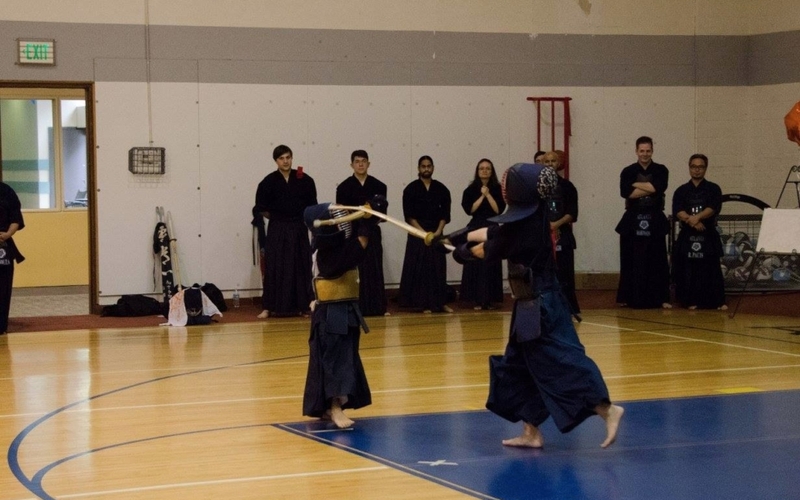 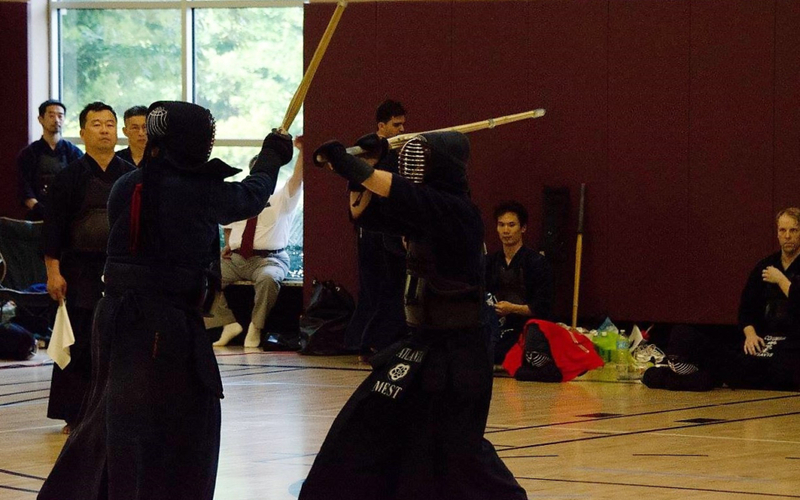 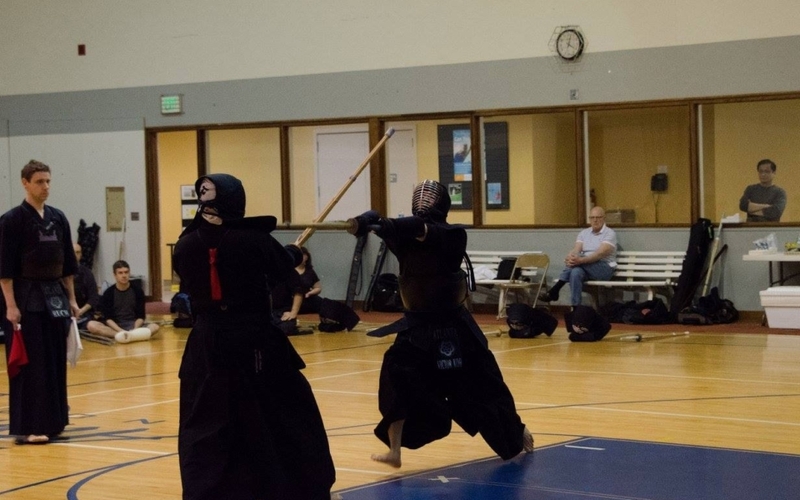 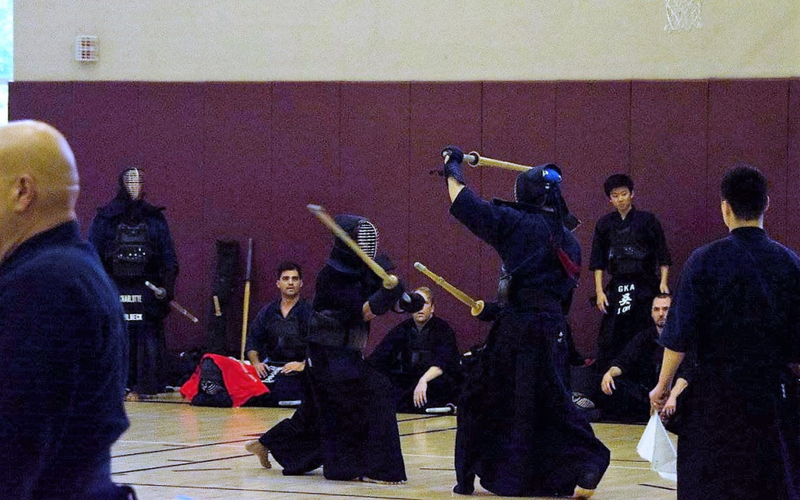 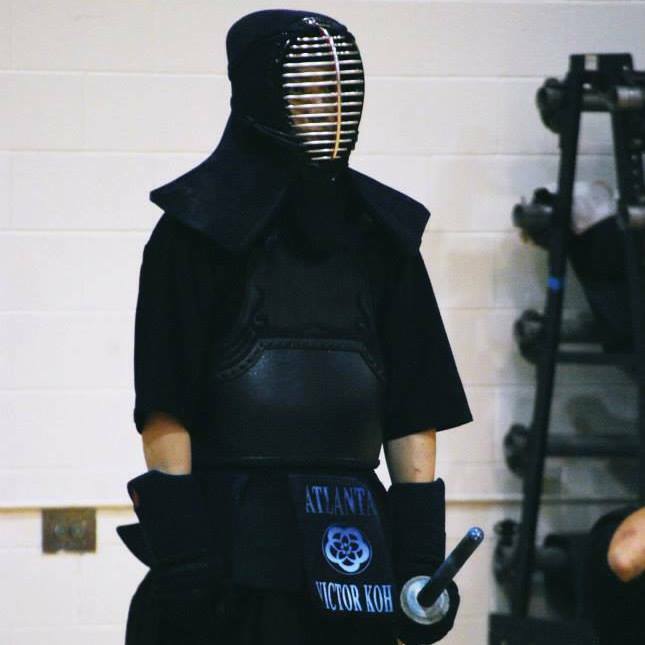 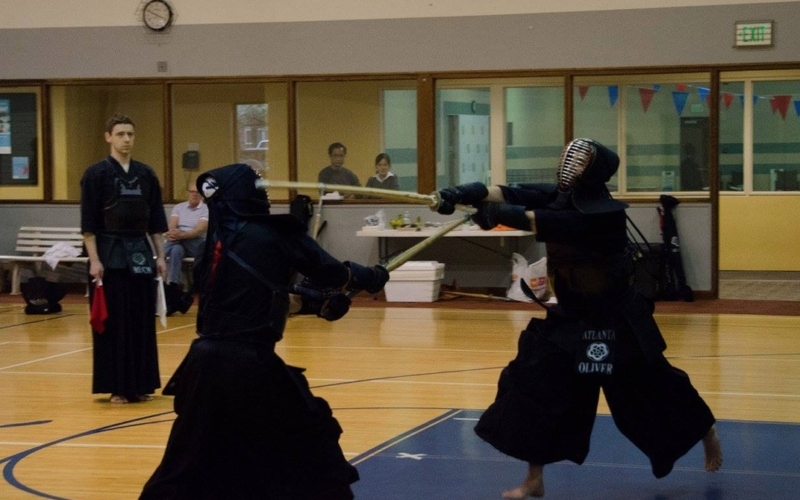 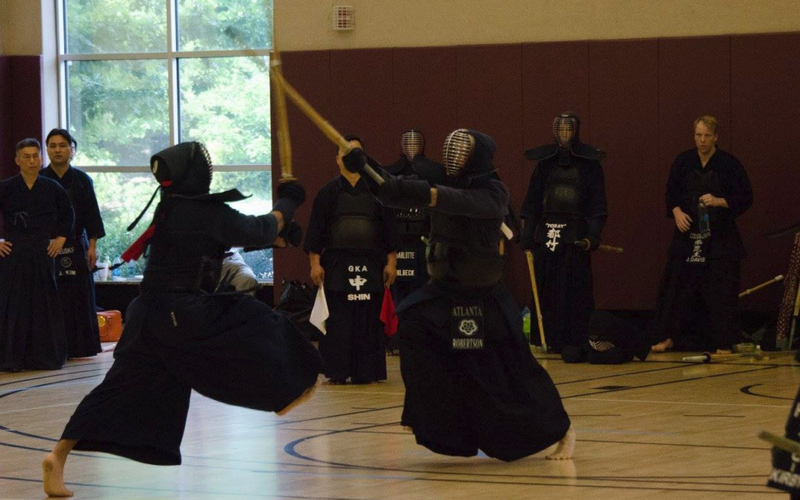 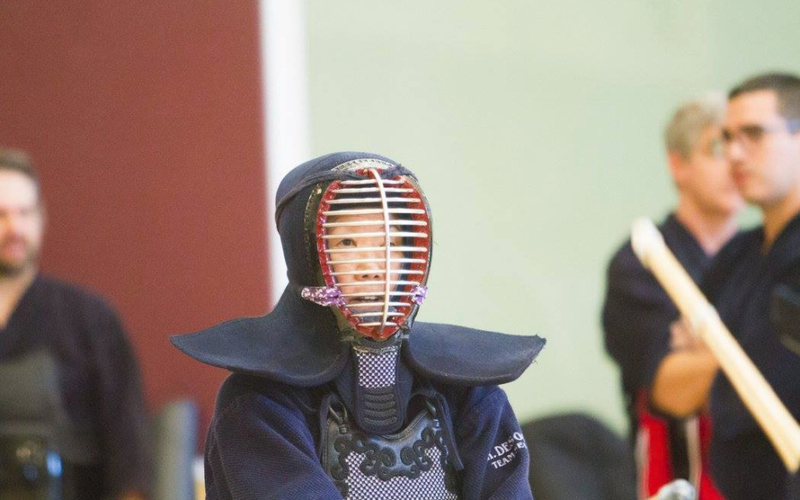 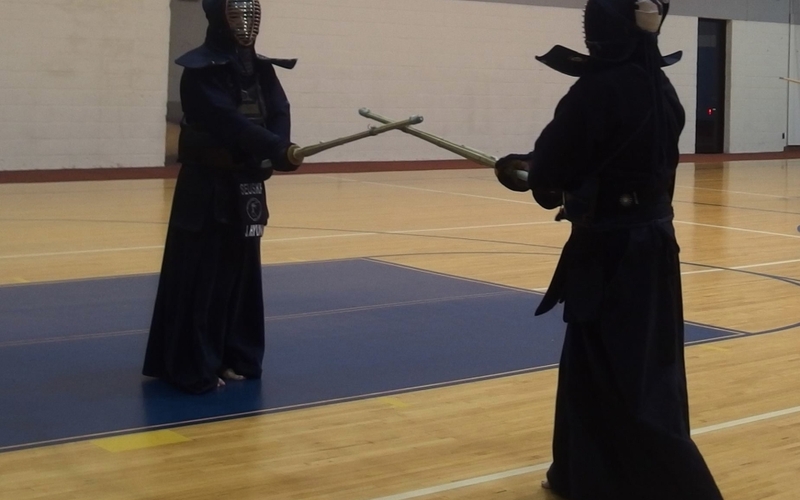 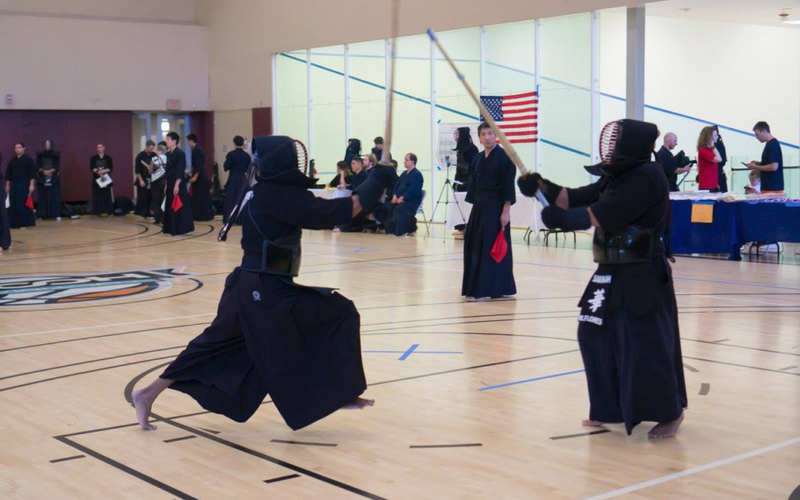 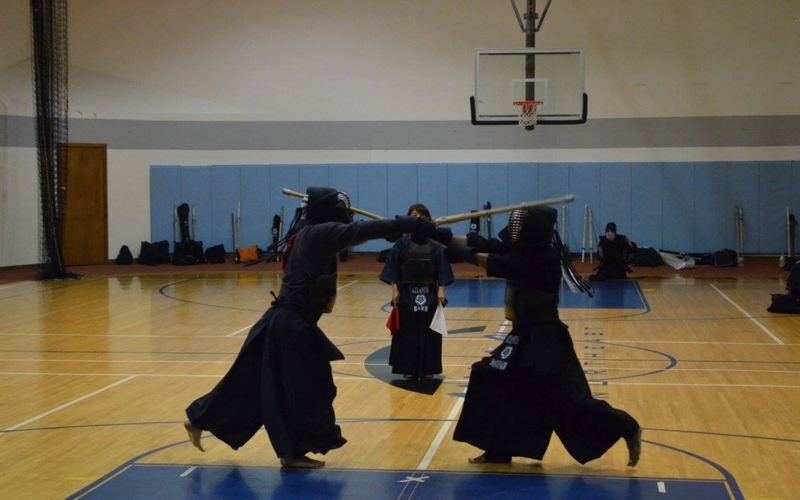 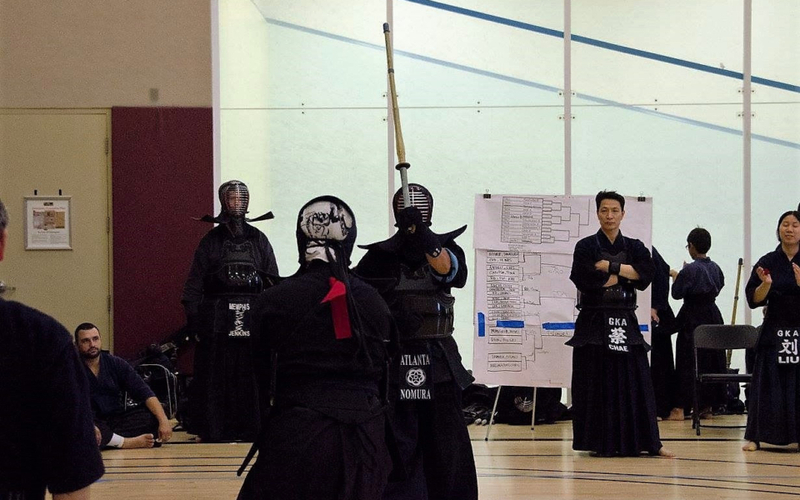 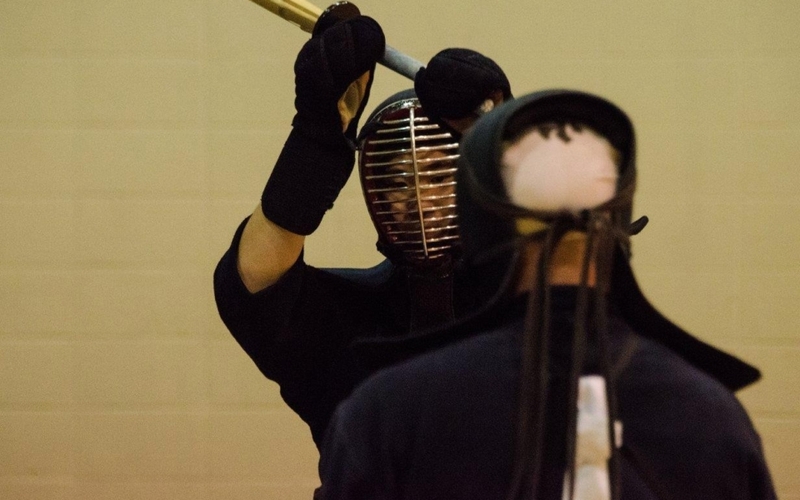 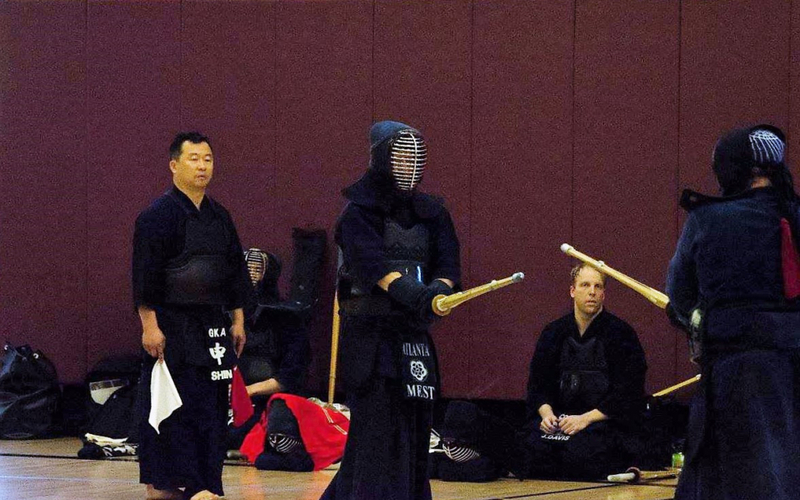 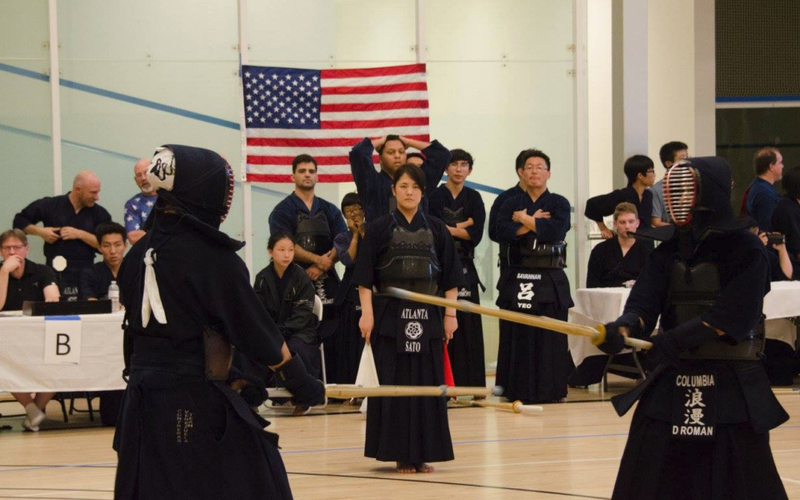 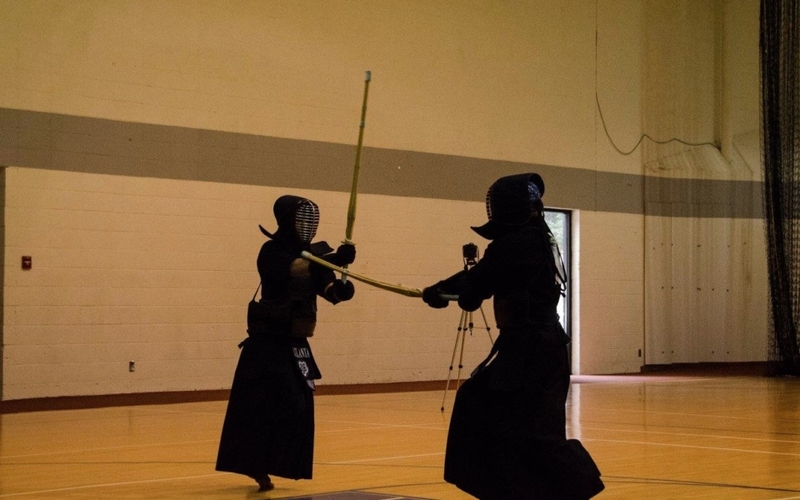 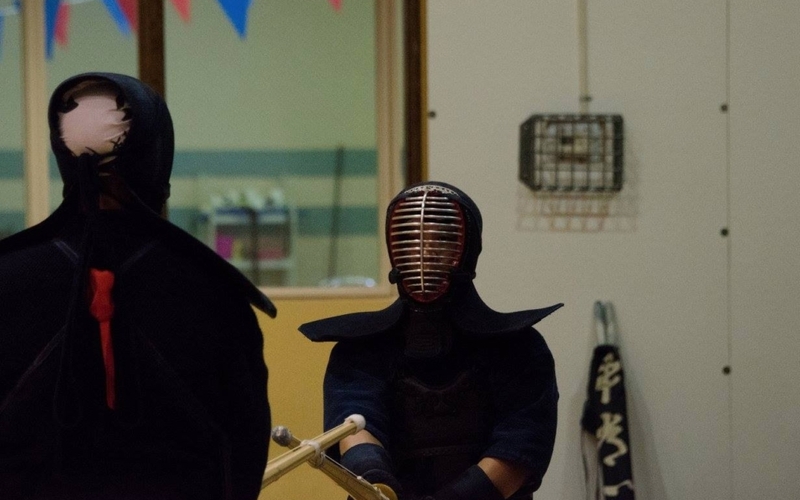 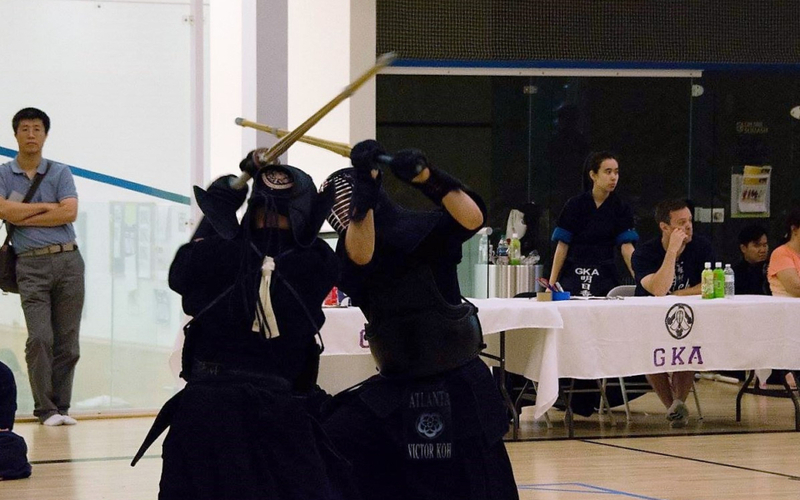 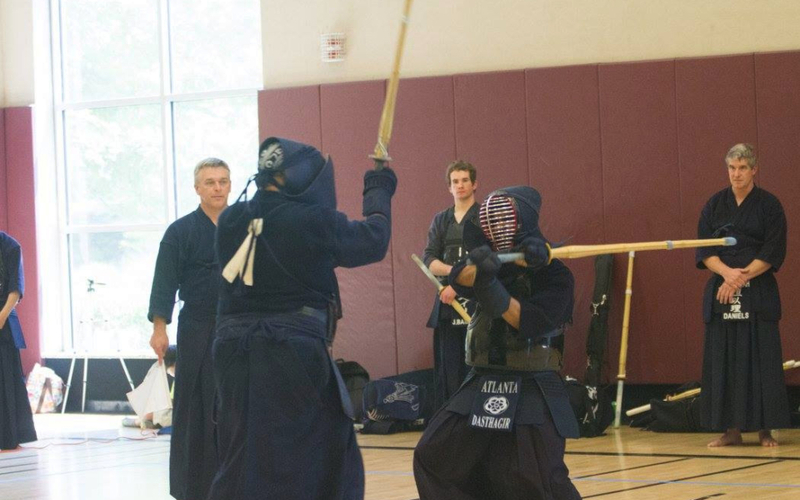 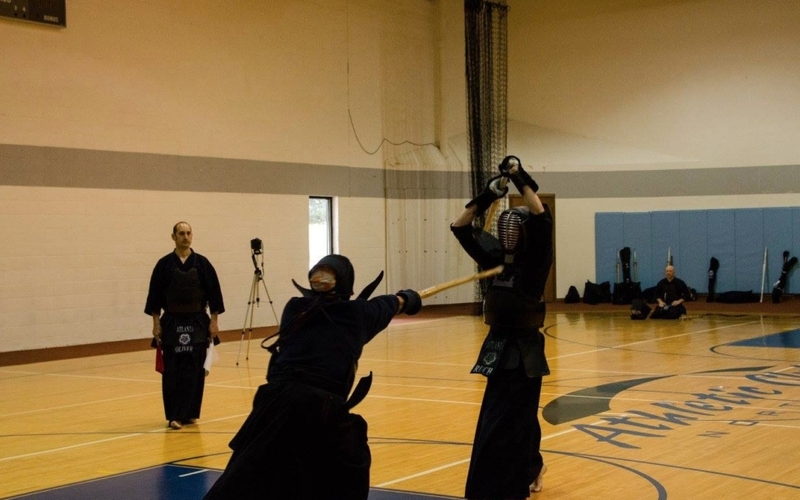 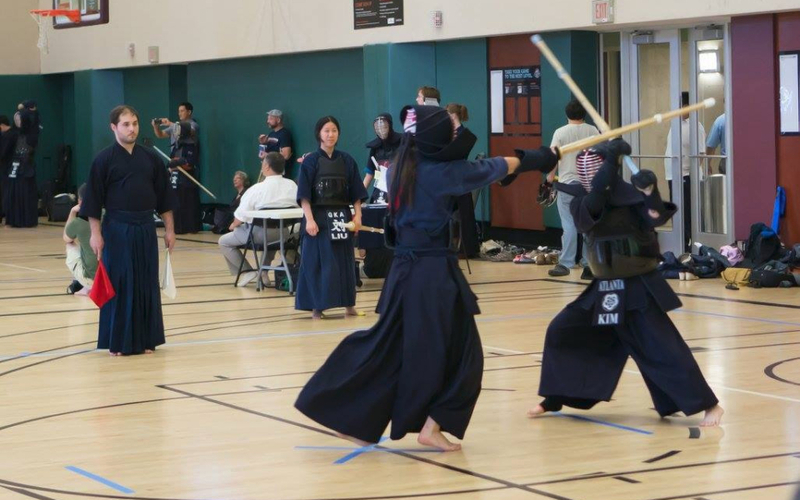 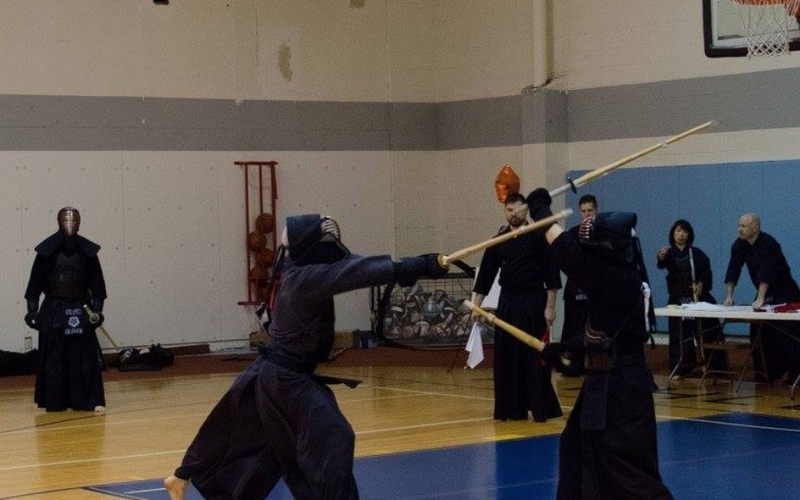 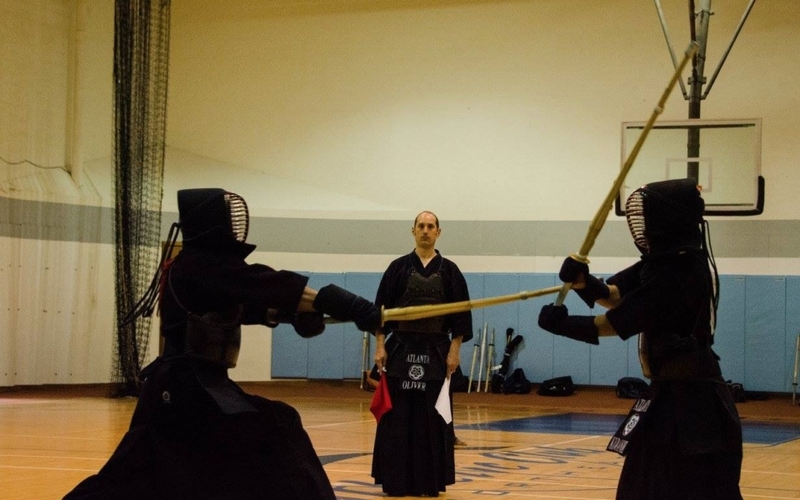 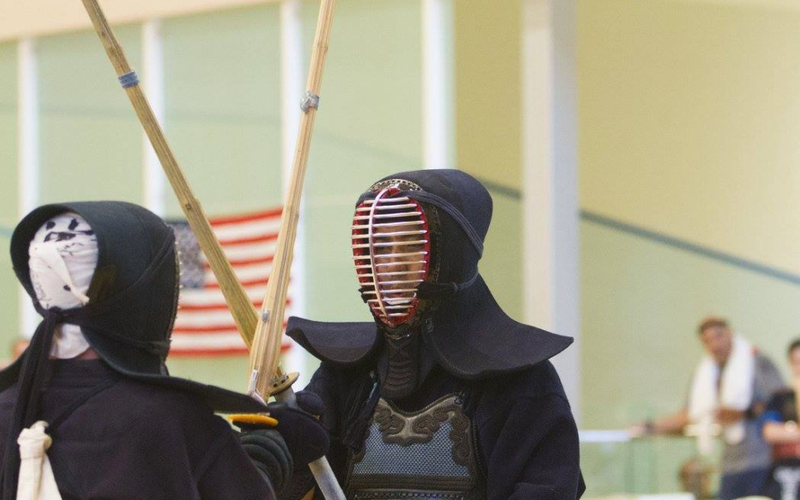 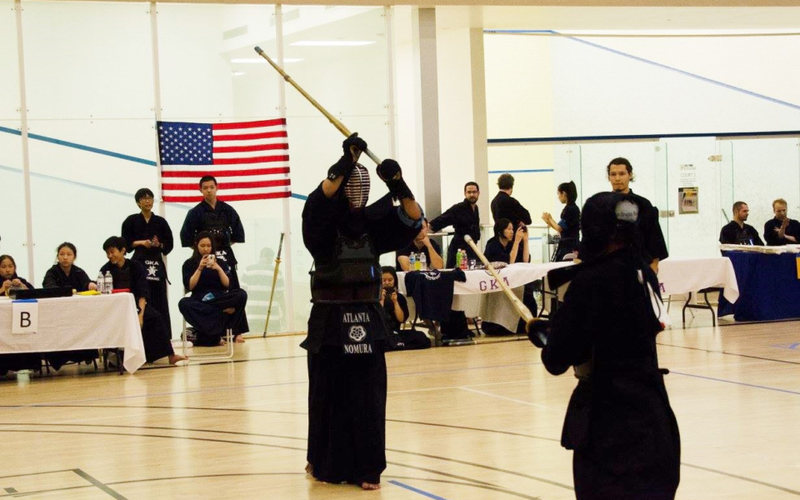 On August 29th, our member Victor Koh competed in the All Florida Kendo Tournament. 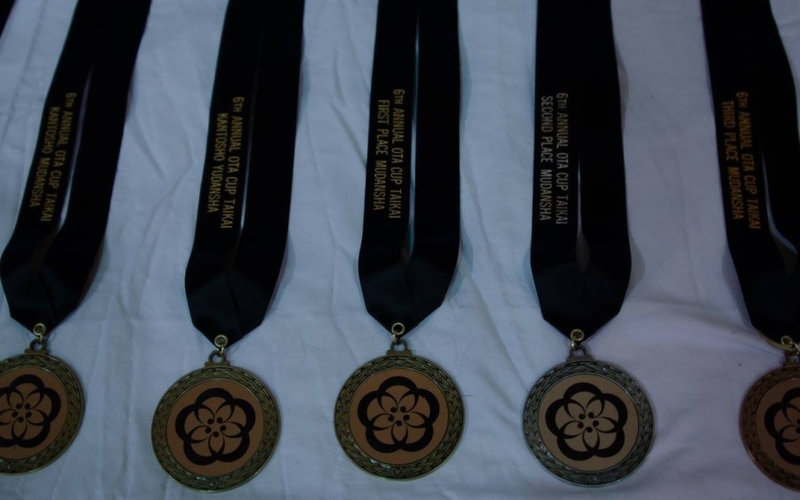 We are very proud of him for winning 1st place in the 3-dan and above division and 2nd place in the team division! 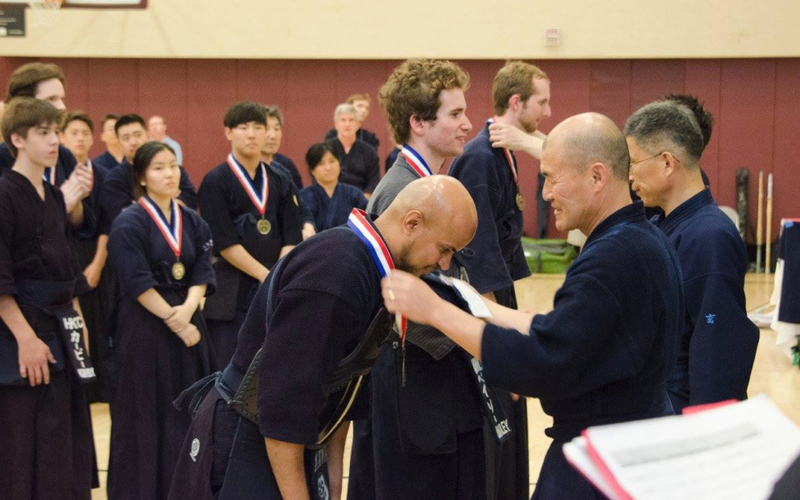 Congratulations, Victor!! 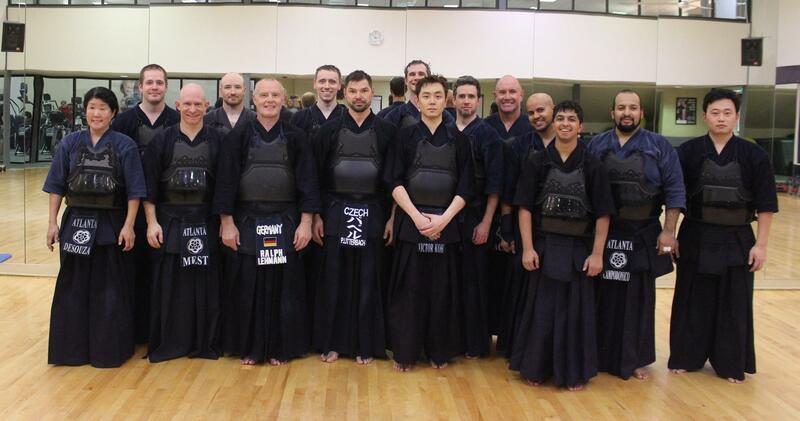 Last night we were joined for keiko by Ralph Lehmann sensei (kyoshi, 7-Dan), former coach of the German national kendo team. We had a great keiko and learned a lot. 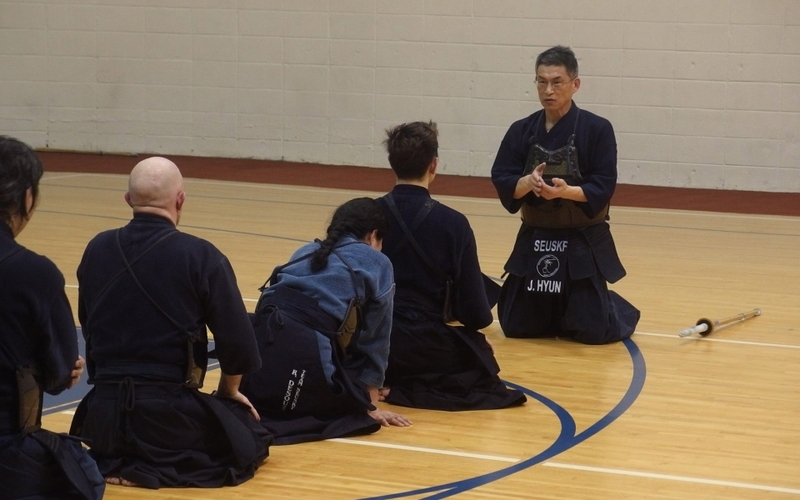 Thank you for visiting and practicing with us, Lehmann sensei! 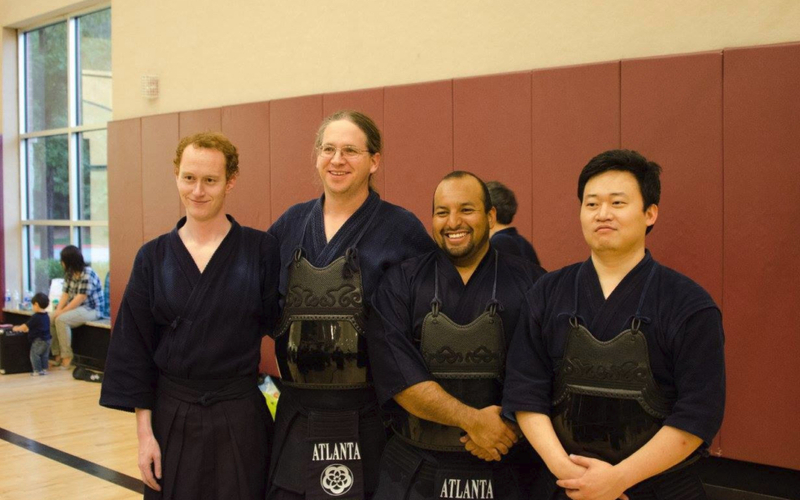 Saturday night was the last practice for our members Jon Hoin and Kensei Kikuchi, who are both moving away from Atlanta. 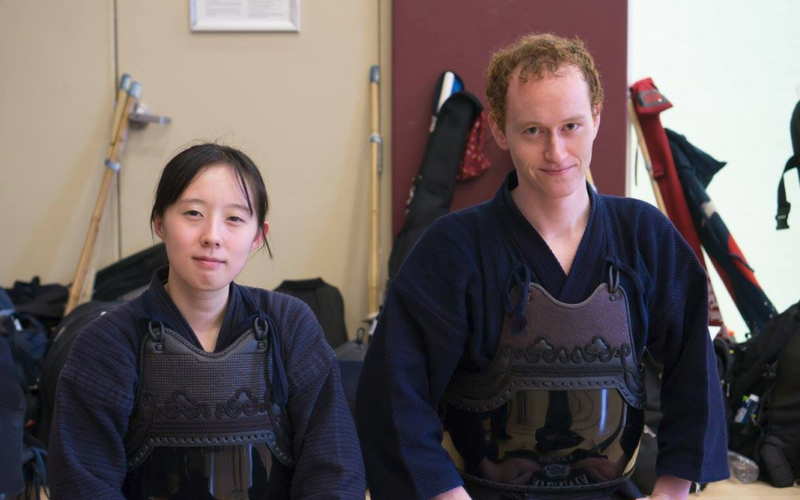 Thank you both very much for practicing with us and we wish you the best of luck in the future! 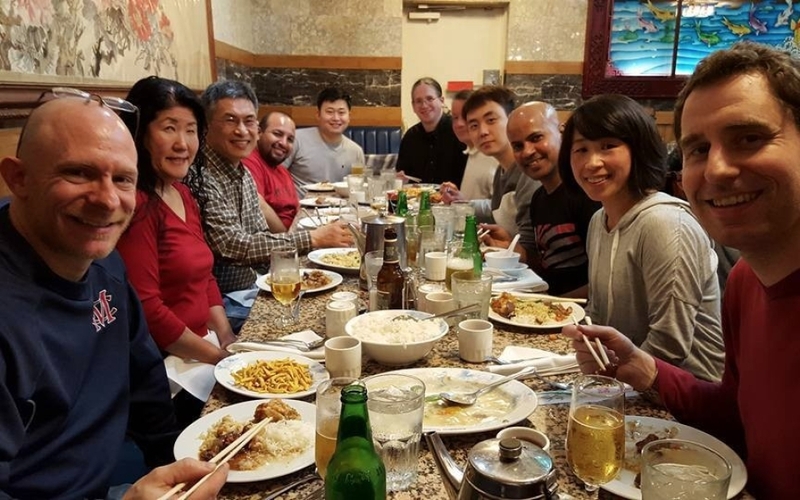 Please come back and visit us soon! 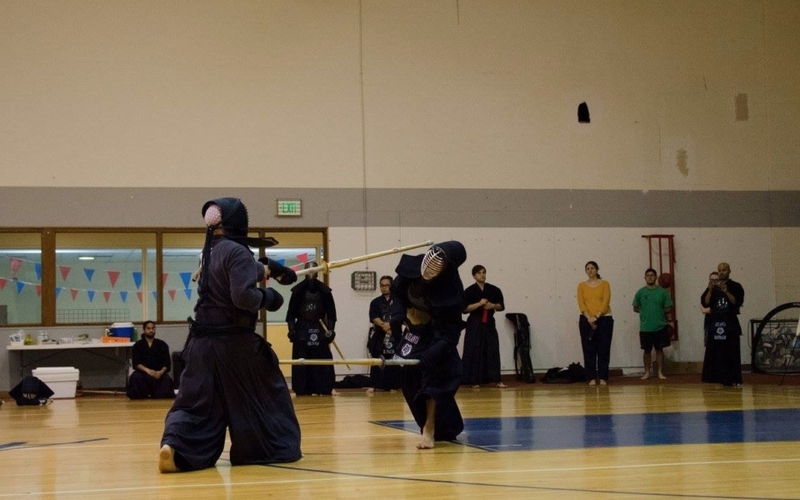 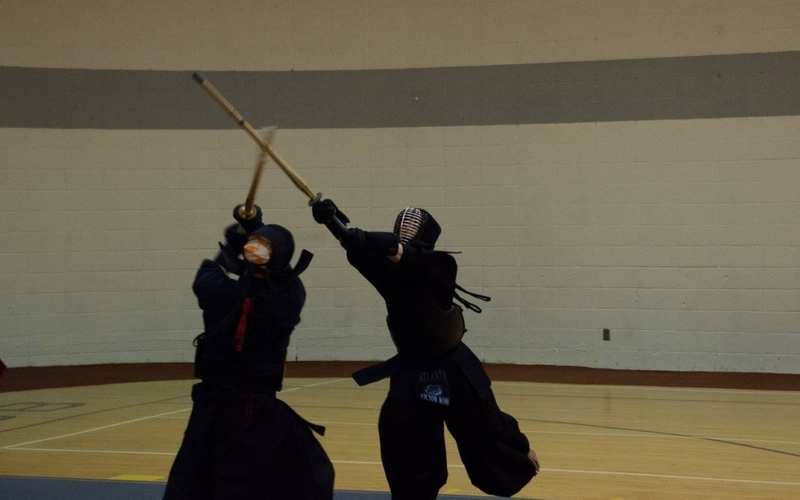 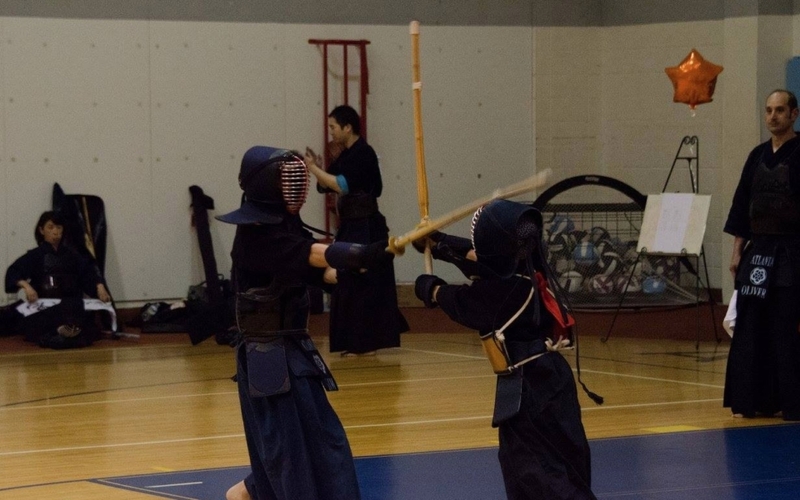 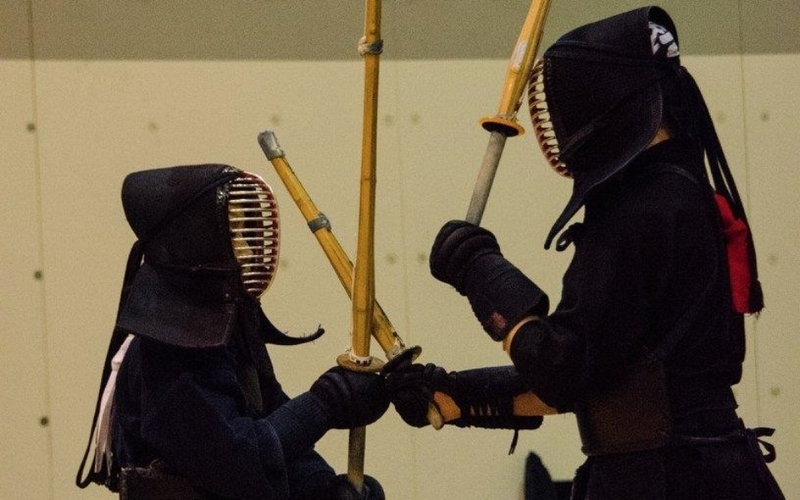 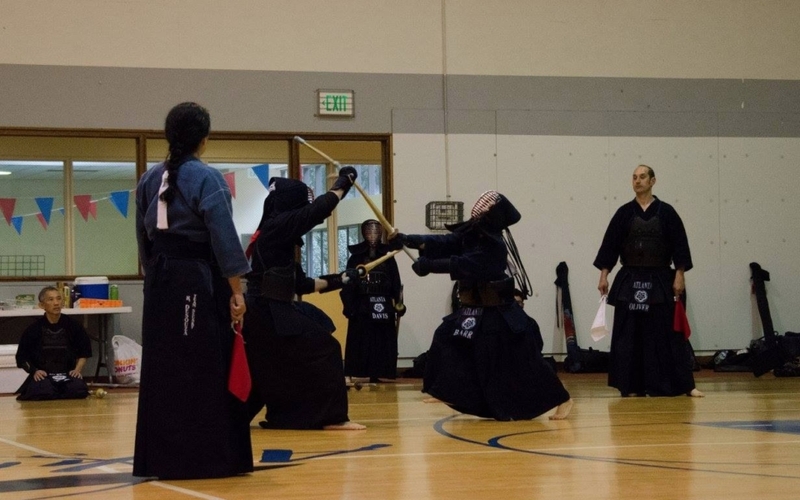 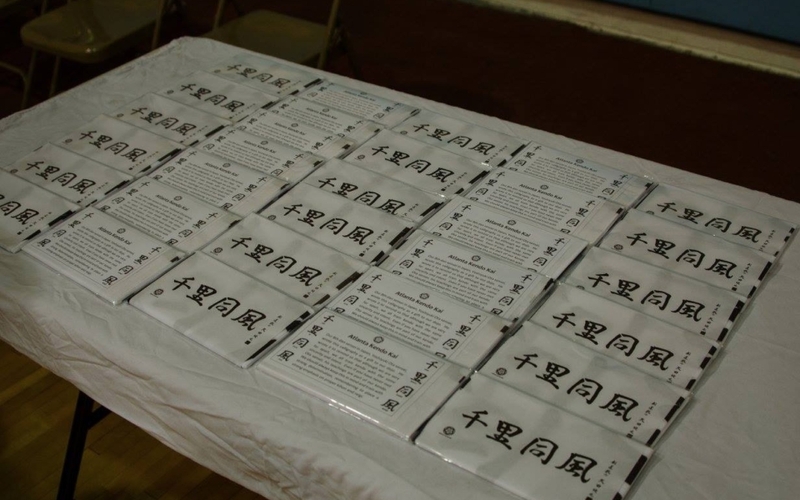 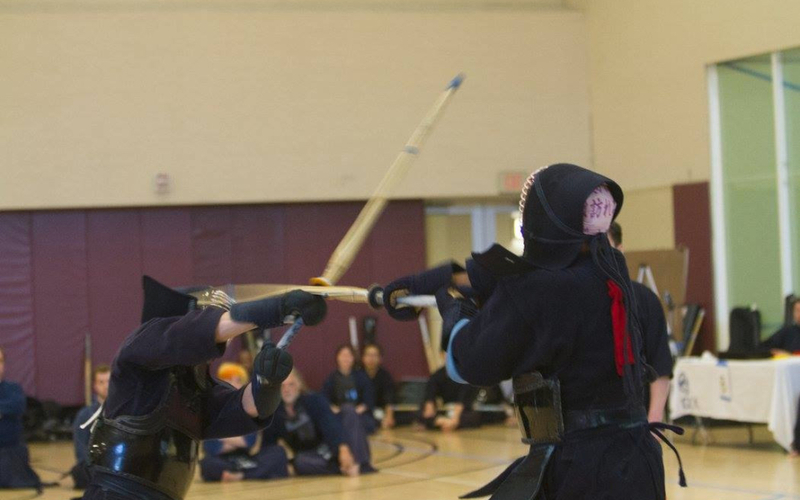 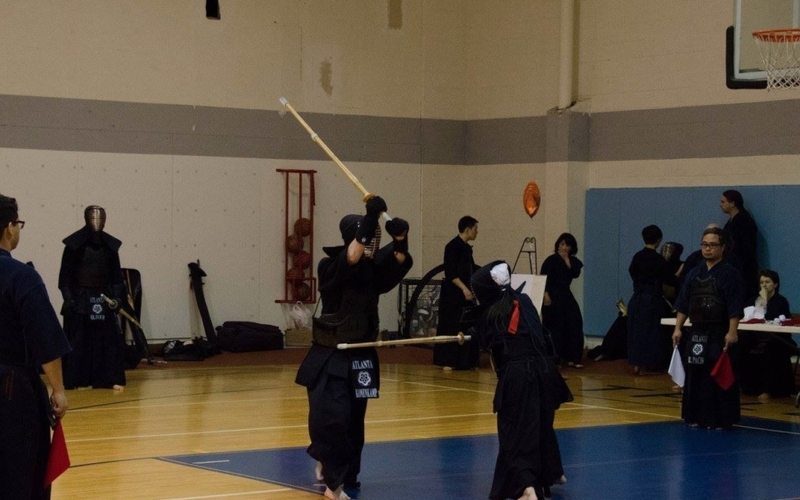 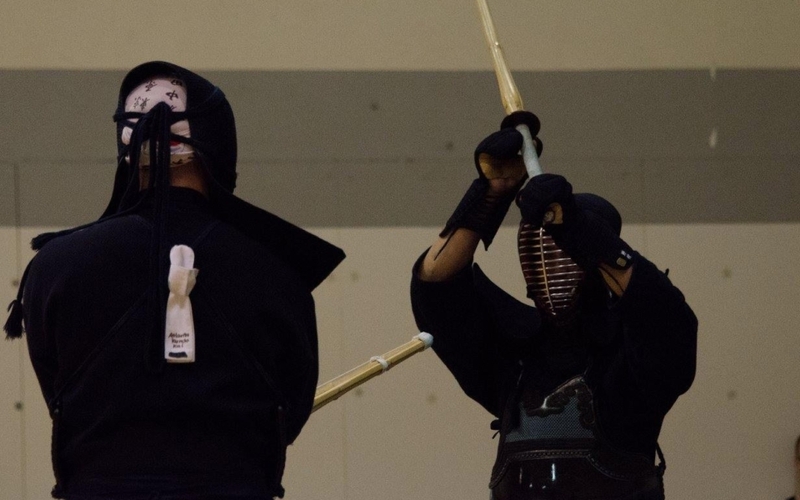 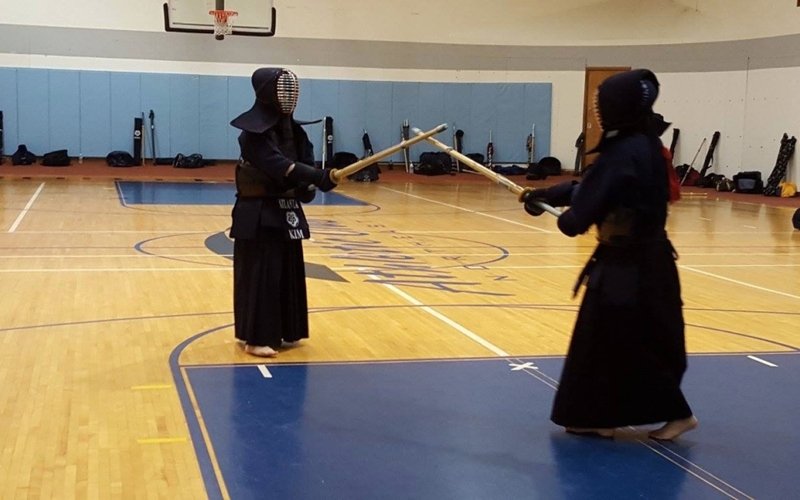 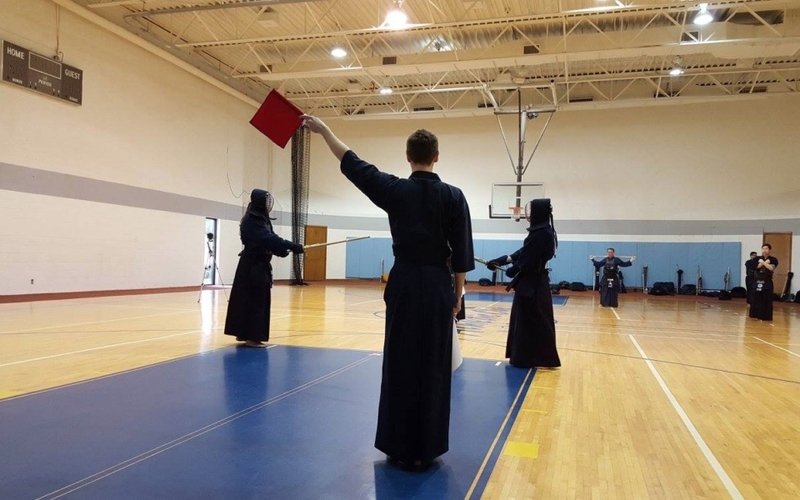 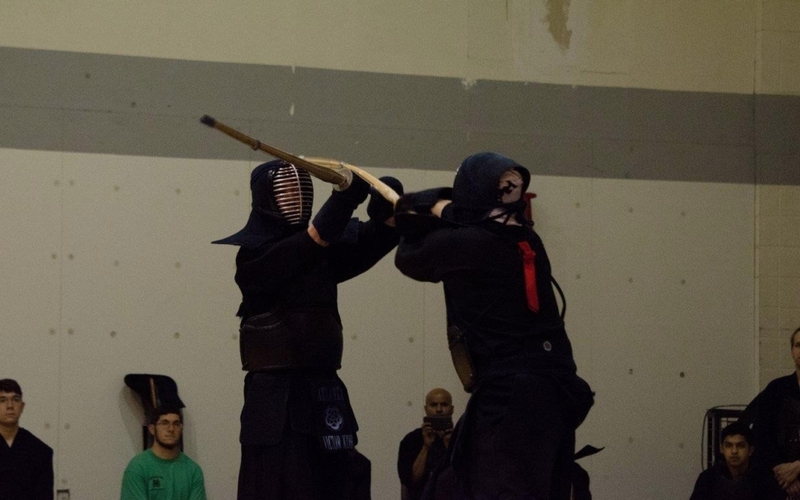 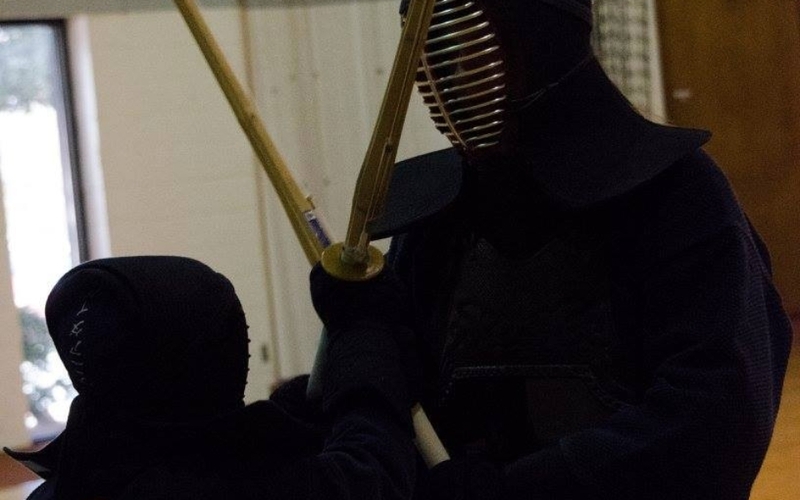 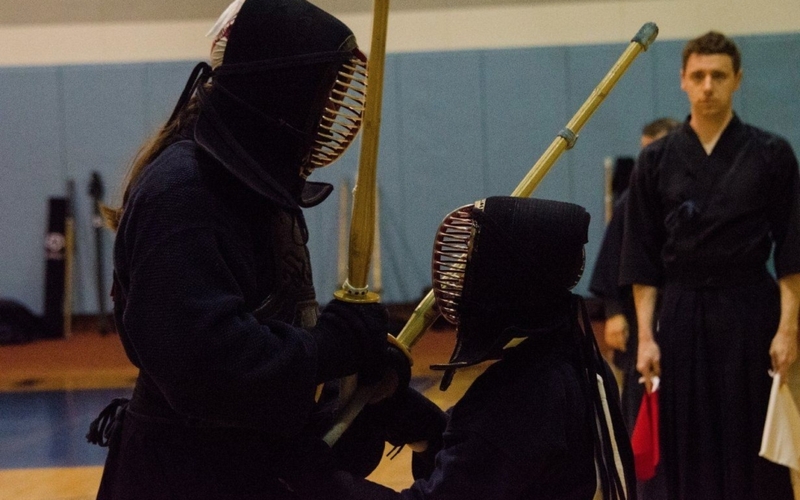 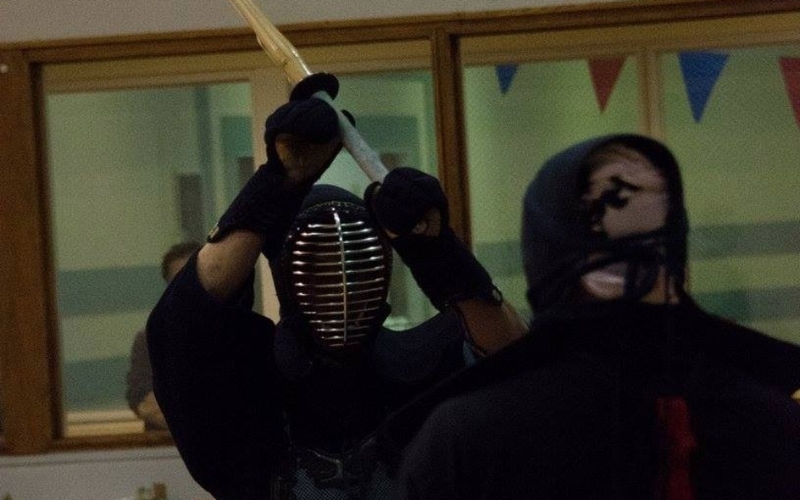 On Saturday, April 4th, the Cleveland Kendo Association hosted the 27th annual Cleveland Kendo Tournament / Greater Northeastern United States Kendo Championships. 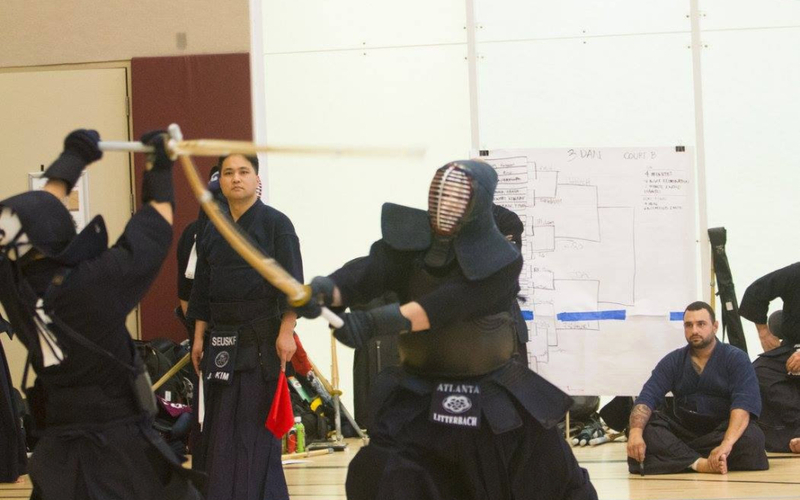 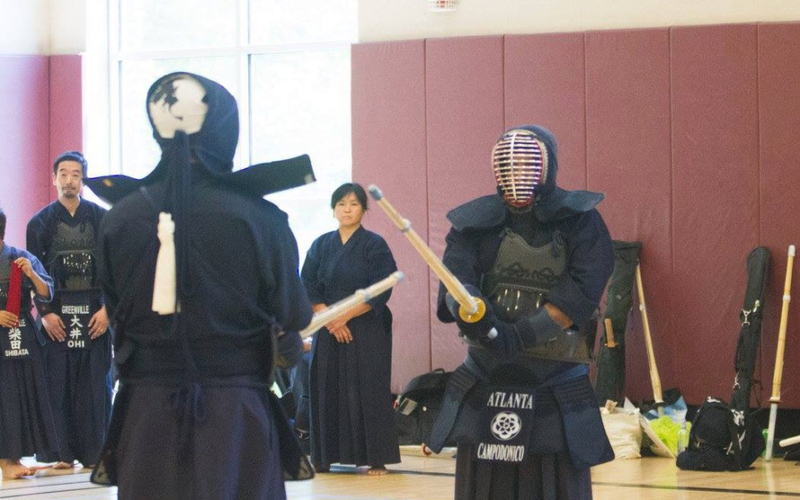 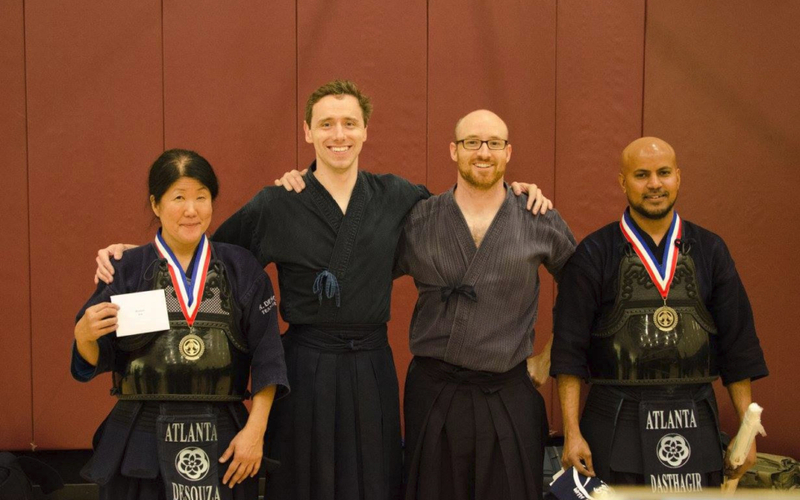 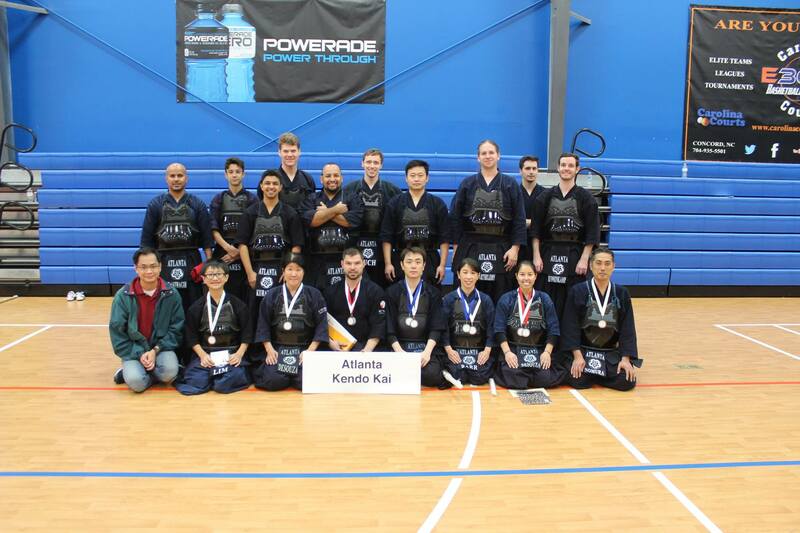 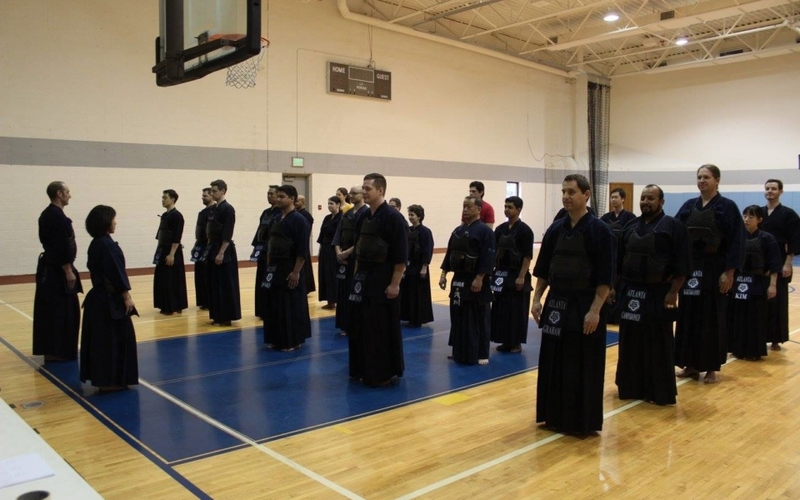 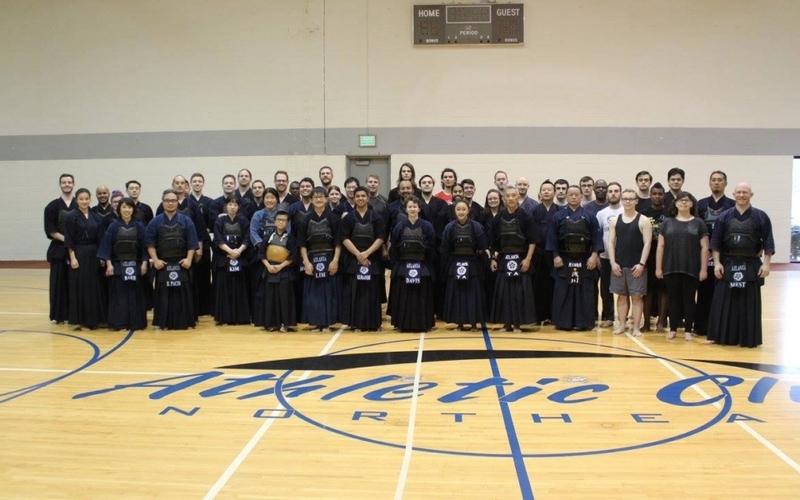 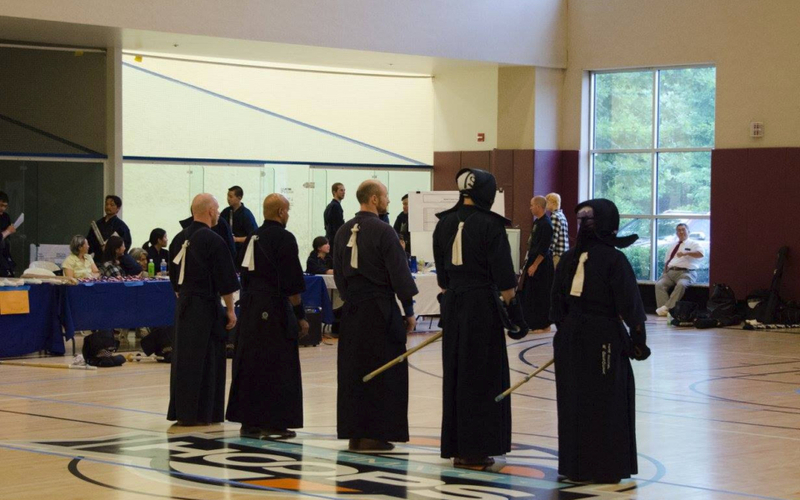 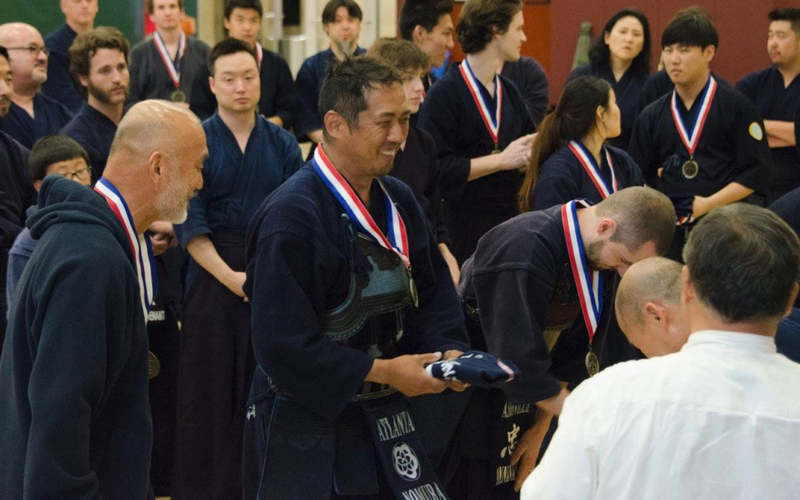 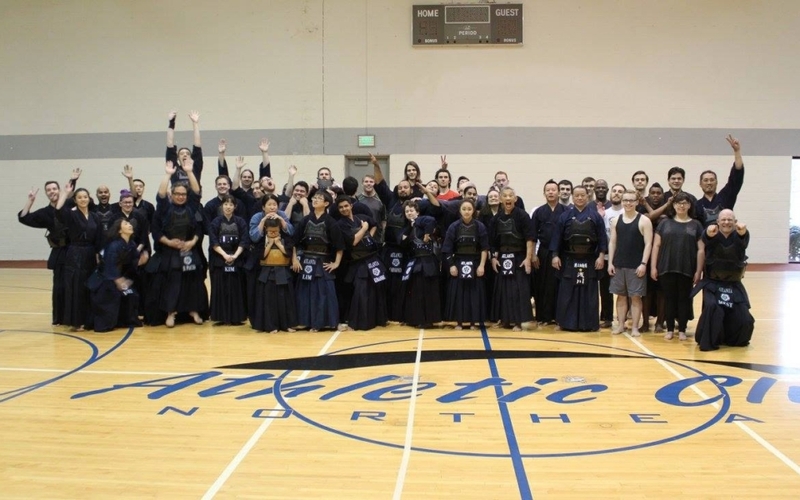 Here are the results from our Atlanta Kendo Kai members who participated in the tournament. 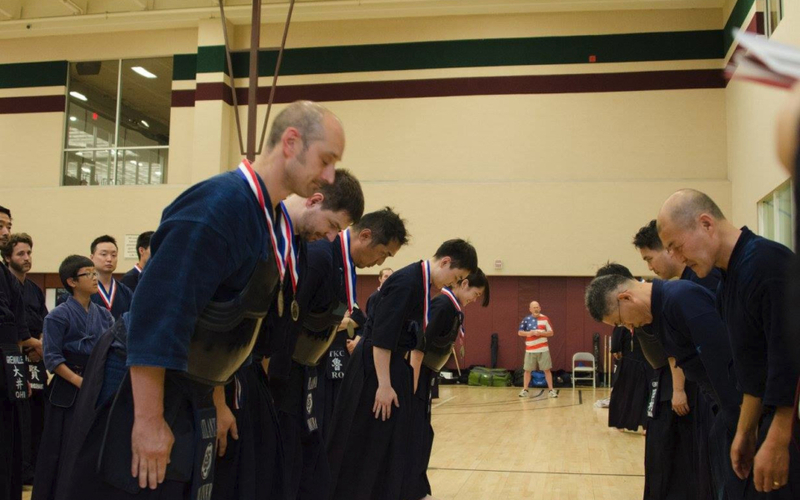 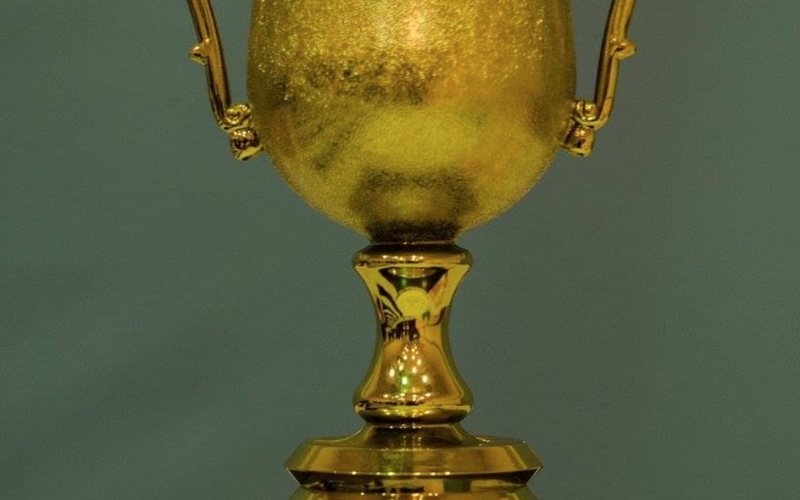 Pavel Litterbach joined as a participant of the Mix USA team, which won 1st place. 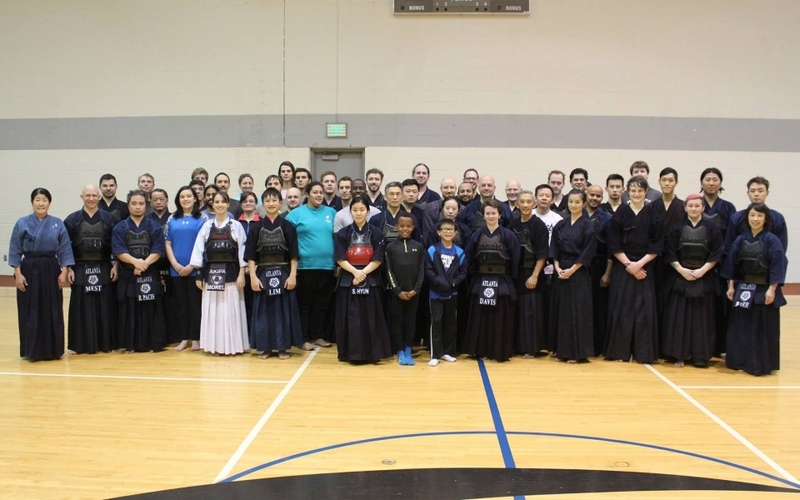 Congratulations to all the winners, and thank you to the Cleveland Kendo Association for hosting another amazing tournament!